CAPA Manager makes investigation management easy. 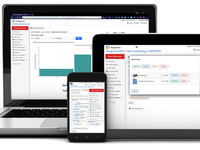 Assign, track and report on quality issues both internally and in your supply chain. 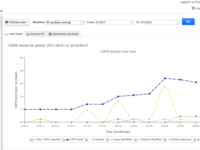 Easy to use, CAPA Manager can be deployed instantly. Powerful work flows and analysis tools will help your teams improve quickly. Create instant CAR reports and performance KPIs. Probably the best CAPA software available. Try for free today! CAPA Manager Reviews Recently Reviewed! Comments: This software works. It's is very easy to use which makes it easy to introduce to new teams. My teams like it because it gets the job done. 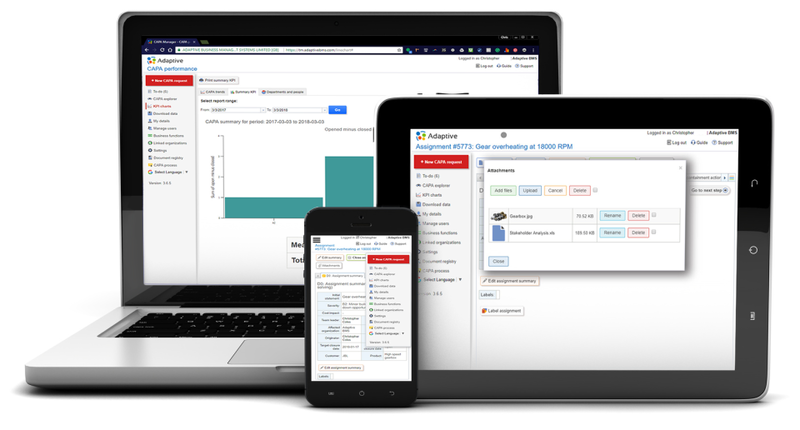 I am noticing more suppliers and customers using CAPA Manager these days, this is allows us to pass corrective actions to one another which promotes good synergy within the entire supply chain. The fee version is effective which allows us to equip smaller suppliers with a fully functional CAPA solution instantly. What is there not to like about this product? Recommendations to other buyers: Ask for custom branding and train your teams in 8D/A3 in advance of deployment. Pros: Great tools like 6M etc. Pros: We utilize the 8D format so having an application that directed users through a familiar process made integration and training far easier. Cons: Some of the functionality/flexibility we're accustomed to within our system is unavailable within the app. Overall: Overall our experience was great. Always received happy and helpful responses whenever we needed to ask about a feature or the possibility of adding a feature. Comments: My business has about 40 employees and I wanted a Quality Management system that could be used to solve problems throughout every department in my organization. CAPA manager fits the bill perfectly. Whether it's responding to a medical device malfunction or a sexual harassment complaint we use CAPA manager for everything. Every time we get surveyed by the Joint Commission we plug their findings into CAPA manager and we generate corrective action plans that have always satisfied them. Once we were audited by FDA (ouch!!) and I used it to build a CAPA plan that satisfied them too. I usually use the 7 step problem solving process; I don't have much experience using the other methodologies that CAPA manager also supports. CAPA manager supports a variety of document archives for supporting documentation and I keep mine in sharepoint online (Office 365). The interface is so seamless it looks like a custom integration but it works perfectly by just entering one setting. Cons: No hard sell, could have missed it! Overall: We have been using this product to support or CI both inside our organisation and down through our supply chain. We would certainly recommend this product looking to introduce or improve there CI management system. Cons: No option to send out email reminders of required tasks. Hello, thank you for your kind review. 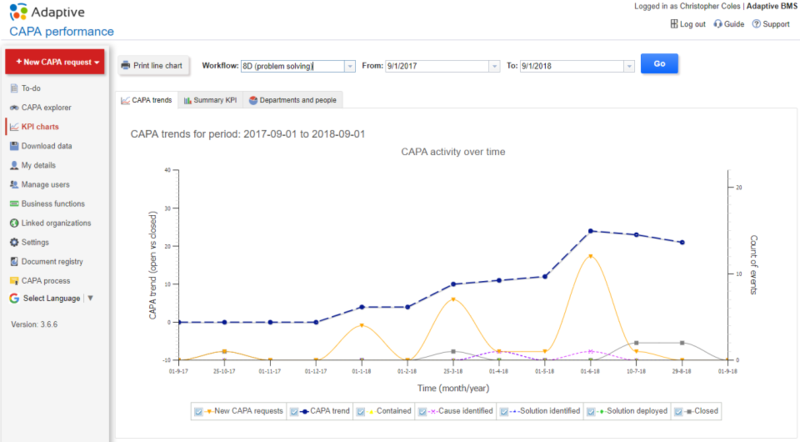 The CAPA Manager email notification engine is at the heart of this application, this feature is included with both the demo and premium versions. Would you be able to contact our support team so we can find out why this is not working for you? Comments: We've been using this software for about 9 months with great success. Keeps everyone on the ball and nothing falls thru the cracks. It is very user friendly and occasional updates have added new features.